John F. Kennedy’s famous quote sums it up. You can probably run a mediocre eSports team and still do very well because of what is happening in the sector. Audience and Revenue Growth are hard to ignore. eSports is a $10 billion dollar industry if we include software sales, streaming service, etc. The sporting component, however, is much smaller. In 2017 the industry generated nearly $700 million in revenues. And it’s projected to grow to $1.5 billion in 2020. That’s a Cumulative Aggregate Growth Rate (CAGR) of 41%. Reducing financial volatility is on top of any football club’s CFO’s list. A difficult task, considering most of the uncertainty in a football club comes from on the pitch performance. How can a club sustain high fixed expenses when having a poor season? By diversifying revenues. Some clubs dabble in hotel complexes, real estate projects, beer pubs and financial services, while others look to eSports. Kuro Takhasomi, the top eSports earner in 2017 had made $2,436,772 according to esportsearnings.com., not nearly as much as Ronaldo, but salaries of professional gamers are increasing at a very high pace. Most professional players, depending on the game will earn $2,500 to $4,500 per month in salary, plus bonuses and benefits. Those numbers are expected to rise significantly in the near future. Just like in football, player salaries are a large proportion of running a team. Some clubs invest in a gaming house – a co-operative living arrangement where several players live in the same residence. Most clubs refrain from such fixed expenses initially. Kit sponsors and stadium advertisers are likely having challenges attracting the younger demographic also known as millennials. Unlike their parents, they are very difficult to reach through radio, TV, print and outdoor media. They consume content on different channels and in different ways, they are not very loyal to brands and are very likely to engage with content online. This evasive younger audience is the dream of many advertisers. Your eSports team audience might be just what your sponsors are looking for. Not only do most football players play video games, they are eager to get involved with eSports. For in-house FIFA teams, football players are tripping over each other for the opportunity to be brand ambassadors. Some players even go as far as sponsoring or investing in eSport teams. Reportedly, French players Sissoko and Sofiane Feghouli are investors in eSport companies. Many leagues are struggling with attracting younger audiences. Premier League for one, is having a demographic crisis. The average age of a supporter is 41 years old and getting older. eSports caters exactly to that demographic. According to SuperData Research, 45% of viewers of eSports are under 24, and another 29% are 25-34. 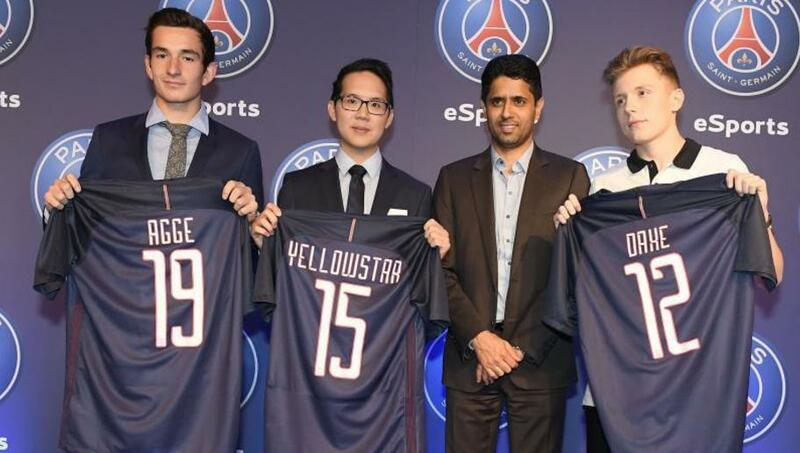 Some of the football club core competencies are very transferable to the eSports market. To be successful, eSport teams must locate promising talent, manage players, provide training and development, negotiate player contracts, define team strategy, etc. eSports teams need marketing, public relations and communication functions – that are likely to be on a clubs’ payroll already. Sporting performance employees can help eSport team tremendously – nutritionists, physiotherapists and psychologists. I could have listed a few more benefits. “Looking cool and getting bragging rights” was a strong consideration, but I will have to save it for another time. Stanislav Ivanov is a Candidate of The FBA’s Professional Master in Football Business, expected to graduate in February 2019. He can be contacted via LinkedIn.